Poggio Landi formerly belonged to Fattoria del Barbi, one of the famous traditional wine producers in Montalcino. Alejandro Pedro Bulgheroni, Argentine entrepreneur with wineries in Argentina, Uruguay and California, recently bought the estate, along with the Dievole winery in the Chianti Classico area, where the company headquarter is based. The oenologist Alberto Antonini is responsible for winemaking, an expert who has learned his business at Antinori and Frescobaldi. In addition, large investments were made, for example, in a new cellar building. 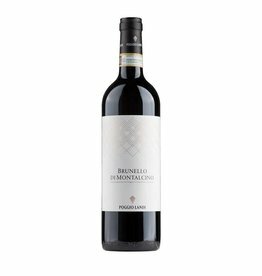 The success was not long in coming, the magazine Decanter awarded the Brunello di Montalcini 2012 with sensational 97/100 points.